1.Spiral Vane Roller Casing Rigid Centralizer consists of rigid body, on which machined spiral blades. 2.There are modified alloy steel, fully heat treated rollers fixed on every spiral blades. 4.The capability of the roller Centralizer is better than others of all. 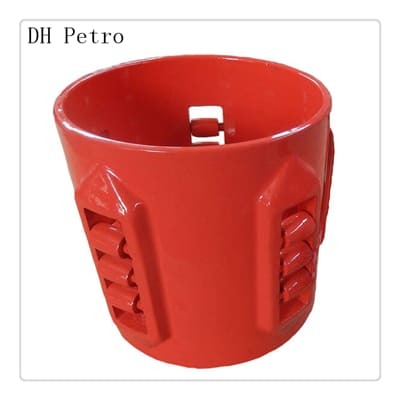 Roller/Wheeled centralizers are mainly used for big high Roller, high deviated wells and horizontal wells, to centre casings. 5.Roller Casing Rigid Centralizers can also remove wellbore cake and improve mud replacement efficiency etc. 6.Roller Casing Rigid Centralizers provide superior wear resistance and have been proven to remain functional throughout the life of the well and can aid in casing/tubing retrieval. 12.Roller Casing Rigid Centralizers are available in sizes 4½” to 20″.